In the past, I’ve had the opportunity to be part of the guide team on a trip several times. But this time it happened rather by accident: Damien, the ride host had broken his wrist the week before on the track, and asked me if I could cover for him. 0630 I’m already late. With the rain outside, I switched to British mode and started putting on several layers of clothing to stay warm, until it occurred to me that it was only 6:00 in the morning and the temperature outside was already 22 °. It seems like after a few months out I have forgotten how to prepare in advance. So off with all the layers and then quickly up on the bike. I meet up with Vince and Rodney. Together we head west via Melbourne. 0700 We arrive at McDonald’s in Liverton, where we meet with a few more drivers. Without hanging around it’s straight off to Geelong, to the main meeting point. 0740 We arrive at the gas station in Geelong to find no one there. It’s quite windy. After a top up in the tank we look again after the rest of the group, but no one has come. After a few phone calls, it turns out that almost everyone has bailed out because of the bad weather. While we hang around a bit at the gas station, it starts to rain. Finally one more person arrived at the meeting point, and from 35 bikes we’re down to nine. 0800 We head off. Craig leading the group, with myself at the tail. I don’t know the route, and expect the usual hum drum of tourist buses on the way to the Great Ocean Road. But instead, we drive inland. We stop in a small village, where literally all I could see there was a shop, a train line and a toilet. Outside the shop sits a single bike with two riders. This turns out to be Craig’s brother and his wife, a charming couple on a BMW. That’s it: 10 bikes. 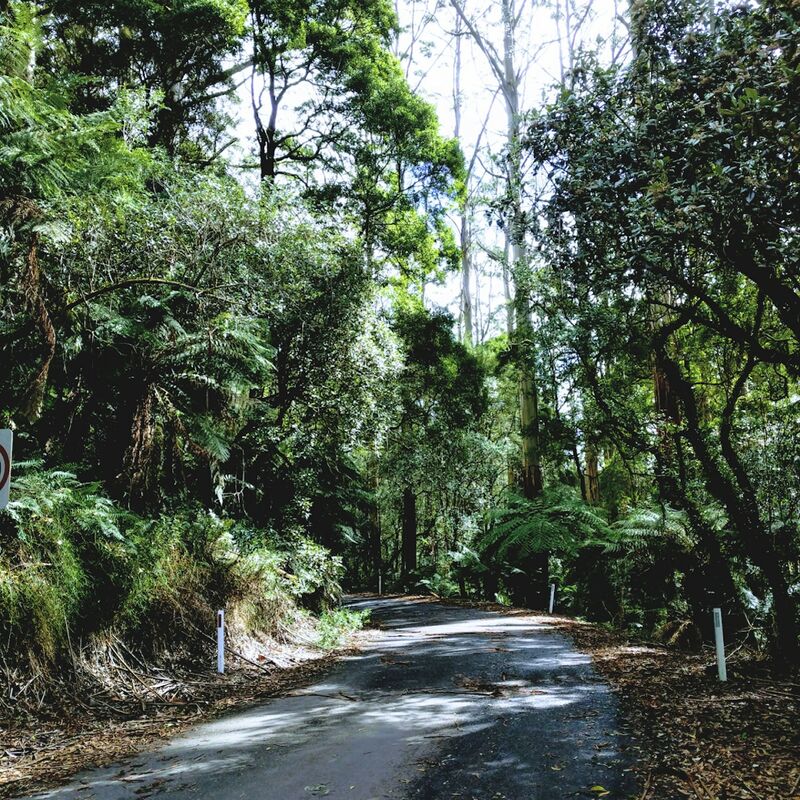 We drive into the Otways National Park and have the most awesome ride to Lorne. There we discover two guys who took the tourist trail and were searching for us. That was lucky – 15 seconds later, and they would have passed us. 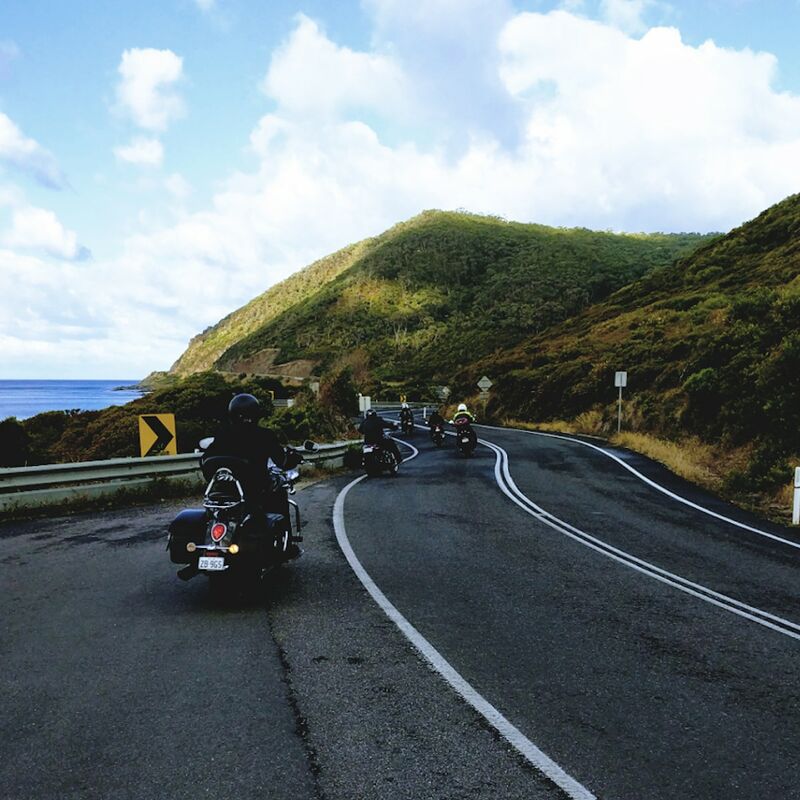 After Lorne, the Great Ocean Road starts to get really good with winding scenic roads, the ocean on one side and rolling hills on the other. I don’t remember this road being this good before, but it’s finally jumped out, better late than never. We get stuck behind a very slow car, which gives us the opportunity to just sit back, embrace the moment and enjoy the scenery. We pull into the entrance to the Kennet River Holiday Park, that has a café outside, a very bike-friendly place indeed. We’re all standing in front of the Koala Café, whose name I have never noticed before, while a busload of tourists has gathered under some trees and pointed their cameras at each other and into the treetops. Of course, I became curious and a guy in the group says, that there are Koalas are sitting in the trees. I’m now rather excited, but don’t want to gatecrash the tourists. With the camera in hand, I slowly shuffle over acting all innocent. I go in there, full stealth, so that they don’t even notice me when I’m standing in their midst. I scan the treetops and see parrots and cockatoos, but nothing even resembling a koala. I have been lied to and sneak out again. Then someone points up. There it is, my first wild Koala. I have to share this special moment with strangers, but instantly, we become a team of happy snappers. Content with success and my newly found photo comrades I venture back to the bikes. As I smugly look into the trees again, there is a second one: fast asleep in a branch. My Australia Reunion is complete. I stroll back to the rest of the group and make it to the porch just in time to hide from the almighty of almighty downpours. After 10 minutes the rain is over and off we all go. A short ride finds us in Apollo Bay, after a quick fuel-stop we carry on. The road is deceiving at this point: you think you’re heading inland, but at the twist of a bend and a well positioned pull up scenic point, you’re on the edge of a cliff – the ocean below, a mountain range behind. If it only weren’t so windy, I would let my drone rise. We drive on and have lunch at the Roadhouse Tavern in Lavers Hill, well worth the stop with friendly staff and damn tasty food. They even noticed that I had a birthday recently and quickly mustered me a cake from nowhere, unexpected and without charge. Top show to those guys, I’ll definitely be popping back in when I’m that way again. After a quick photo stop, we head inland and to another scenic route named Turtons Track. What a fantastic tiny tourist route. But it is quite narrow, so you have to be aware for oncoming cars on hairpin blind bends. And sadly, due tot he weather and time oft he year, a slow and relaxed ride was called for with bits of tree all over the place and the road being damp. Not that this was a real problem, the slow ride made for taking in the awesome surroundings. From here on, it is only a leisurely drive across country back to Geelong, and then to Melbourne. 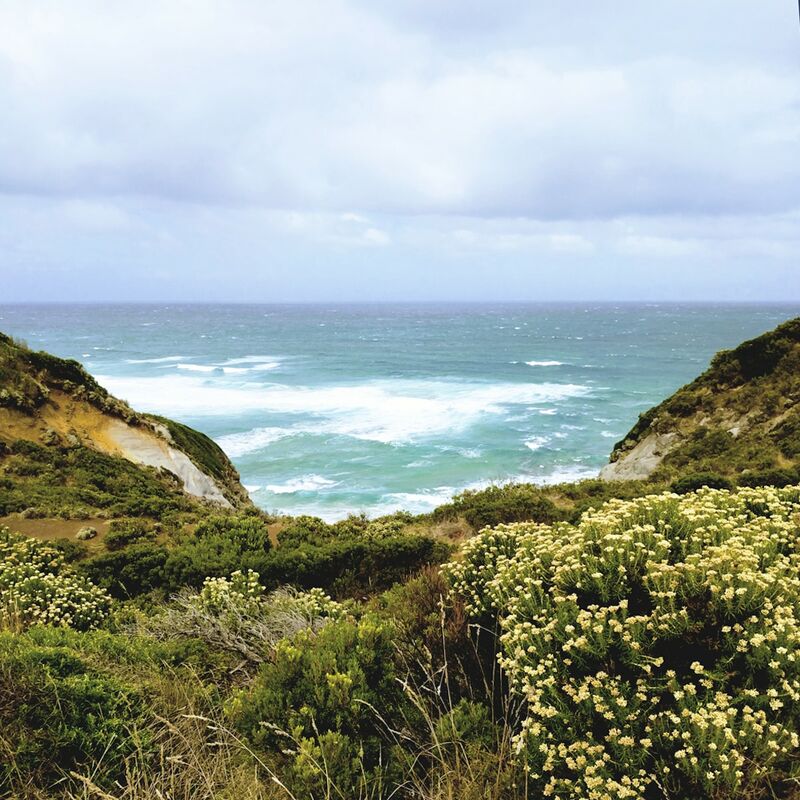 A long day, but totally worth it, opening my eyes to an alternative trip of the Great Ocean Road.